Th. 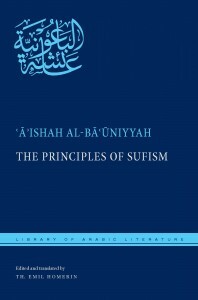 Emil Homerin, editor-translator of the recently-published The Principles of Sufism, has long been interested in the work of ‘A’ishah al-Ba’uniyyah, who is perhaps the most prolific and prominent woman who wrote in Arabic prior to the modern period. Homerin, a professor of religion and former chair of the Department of Religion & Classics at the University of Rochester, previously translated a collection of al-Ba’uniyyah’s poems as Emanations of Grace, and likens her work to that of the famous Persian poet, Jalal al-Din Rumi. In a Skype interview originally published on the Library of Arabic Literature, Homerin talked about how he found al-Ba’uniyyah’s manuscripts—which was like finding “a needle in a haystack”—and what changes when you can read Sufi poetry alongside the author’s own spiritual guidebook. ArabLit: Before translating The Principles of Sufism, you worked on translating a collection of ‘A’ishah’s poetry, Emanations of Grace. How did you come to these works? Th. Emil Homerin: One of the times I’d gone over to Egypt, I was working on the poetry from the Mamluk period, basically 1250-1517. I was looking for all sorts of poets, but part of my concern was to see if I could find women poets. I had read about women poets, I had their names—hers I did not have—but of others. People would say, ‘Oh, such-and-such a woman wrote poetry,’ but you could never find it. Or you might find one or two poems, or a few verses in a death notice. So basically I was spending time at Dar al-Kutub and its manuscript collection in Cairo, and I would just go through the titles list, looking though books of poetry and hoping that I could find one by a woman. It was like trying to find a needle in a haystack. And then I start writing down women’s names in Arabic. And then I went into the card catalog, and after a while, lo and behold, I find ‘A’ishah. And that led me to the manuscripts. AL: You were working with a number of other poets at the time. But you focused on ‘A’ishah. Why? TEH: First of all, I had a collection of poetry by a woman. It still may be one of the only ones by a woman in Arabic. There’s also one by Wallada [bint al-Mustakfi], who was a Muslim in Andalusia who wrote in the eleventh century. Then I started reading, and I found out it’s Sufi verse, and that’s my specialty, and I thought, “This is great.” And then I found her guide book, and I thought, “Good Lord, I’ve got the ability to read what her mystical doctrines are and compare them to her poetry.” Because so many mystical poets never wrote a guidebook, or anything in prose; you’re always trying to tease out what they may or may not believe, or what school of Islamic mysticism they belong to, and so forth, according to their poetry. But here I had sources that told me exactly what she believed. AL: What’s sustained your interest in ‘A’ishah’s work? TEH: ‘A’ishah is one of the very few women mystics in Islam who wrote and spoke for herself prior to the modern period. That gives us some important perspectives from the viewpoint of a woman on her society, on Islamic mysticism, and on Islam in general. AL: Do you read ‘A’ishah’s writing as somehow gendered? Are there particular markers that tell you “this is a woman”—stylistically, tonally, word choice? The one exception would be that, in many of her mystical love poems, she assumes the role of a woman with God or the prophet Muhammad as her lover. This is “lover” in the sense of her beloved, but not necessarily in any kind of passionate sense. And so she will keep, in her better poems, an ambiguity, so you don’t know if she’s talking about her husband or her Sufi master or Muhammad or God. There’s a nice ambiguity there. TEH: The short answer is: No. In one of the articles that I have written, I took a look at how Aisha was viewed by her contemporaries. And they basically viewed her as they viewed a male Sufi master—using the same epitaphs and so forth, only in the feminine form. And looking at her work, for instance The Principles of Sufism, it is very much in the classical mode of a Sufi guide. And I really can’t say that I see any particular emphasis that I ascribe to gender. AL: What about the encouraging positivity in which the book is suffused? Would you find a similar positivity in a work by a male mystic? The person who I would compare her to is Jalal al-Din Rumi, the great Persian poet. TEH: Sometimes. It depends on the mystic. The person who I would compare her to is Jalal al-Din Rumi, the great Persian poet. He was always an optimist, and he was living in trying times up there in Anatolia in the thirteenth century. He was always confident of God’s mercy, of God’s love, and we see that in ‘A’ishah’s work as well. You can have other male mystics who are not nearly as optimistic, who are maybe a little more droll or concerned with divine chastisement. Although ‘A’ishah quotes a range of authors, overall though, in the end, she’s got that positive aspect. And I think that’s another thing that made her endearing to me to spend time translating. I’m not one who’d want to translate the blues all the time. AL: Is that positivity part of what made her popular in her time? TEH: That was probably something that attracted attention to her. Another thing that really attracted attention to her is that she is a very fine poet, and she really understands the Arabic poetic tradition. So in some of her other works, for instance one of her poems called “The Clear Inspiration,” she quotes or refers to fifty other classical poets. That’s a showing-off, too. But it really shows her skills. Her uncle, Ibrahim, was considered one of the best Arab poets of his generation. According to some sources, she studied with him. So I think that her poetic ability, and it comes over into her prose, was very attractive to her contemporaries. AL: But, in The Principles of Sufism, there’s really no way to see that she’s a woman. If you didn’t know her name, would there be something about her work that you’d find particularly female? TEH: I don’t think I’d know that, no. What’s noteworthy about The Principles of Sufism is she’s very careful to quote her sources. Now, this is also rare. Part of it may be that she’s writing a little later than many others who wrote Sufi guidebooks. She’s very careful to quote her sources, and almost all of the sources are books by men. There are stories of pious women, but there are no quotations from other women, because this may be the first Sufi guidebook written by a woman. AL: Growing up in Damascus in the fifteenth century, would her education have been different from her brothers’? No, her education was not different. We know for a fact it was exactly the same as her five brothers. TEH: No, her education was not different. We know for a fact it was exactly the same as her five brothers. Her father was the chief judge of Damascus, so this was a very prominent family. That’s oftentimes the trend, when you find learned women—and there are a quite a few of them throughout Islamic history—most of them come from elite families that could afford to give their daughters the same education, or an education, as they did their sons. AL: So that wouldn’t have been unusual, to educate a daughter of the family exactly as the sons? AL: You wrote elsewhere that it wasn’t usual for women to teach and be scholars in the Mamluk regions, but that they rarely—as ‘A’ishah did—composed their own original work. Why do you suppose? What is the line? TEH: Well, I can only speculate. Did they have the time? Did they have the ambition? ‘A’ishah comes off as a very strong, very confident person who was not afraid to write and put things down. Again, she came from a family that did that. And we do have some bits and pieces of poetry from other women, but just not complete collections. So we do have poems for sure. And, to be blunt, there could be things out there by other women and we just don’t know it. The manuscript collections are immense. AL: Who read ‘A’ishah’s work during her lifetime? Both men and women? More often men? Certainly her poems would’ve been recited among men. She exchanged poems with male scholars when she was in Cairo; we have the exchanges. So they’re writing poems back to each other. Oftentimes poems of praise, and they’re being clever with their plays on words and names and so forth. It’s a kind of educated pastime among the elite, sharing poems. TEH: We don’t know that much about what women were doing at this time–this is why she’s very important. But she probably recited these poems to other women, and that could’ve included the sultan’s wife, because they had mutual friends when she was in Egypt. TEH: Oh no. When she’s in Cairo and she’s having these exchanges, she’s a widow. She’s probably in her fifties. Her son is with her, and he’s working as a secretary for the Sultan, and she’s living in the quarters of a family friend with his wife. Certainly somebody’s going to take exception, you’re always going to have conservative elements, but we don’t know of it. AL: So The Principles of Sufism, her guidebook: Do we have a sense of how many people read it and used it and how readers used it? TEH: No. So far, the manuscript I use is the only complete manuscript I know about. There are parts of it in another manuscript in Cairo, but it’s not complete. Because of the civil war in Syria, I haven’t been able to get there to find out what they might have, because she spent most of her life in Damascus. I did look when I was in Istanbul, and they have some books by her father and her uncles, but they don’t have this one either. That’s not totally surprising, because they have more Turkish than Arabic, but for a while they controlled Cairo. That might tell you that it wasn’t used that much, because we don’t have that many copies. Whereas her poetry, we have quite a few copies of those. But that could just also be chance. AL: But in general, ‘A’ishah wrote for a broad audience? TEH: I believe so, yes. Literacy was probably fairly high in Cairo and Damascus because of Qu’ran schools and so forth, so that people could read. We know for instance that merchants and artisans could read, not just the scholarly cadre. But also, people would read these things out loud. So that’s another teaching mechanism. So I think she saw herself as having a broad audience. AL: In translating the work, were there parts you found particularly challenging? TEH: Sometimes the meaning of the words, or she’s using obscure forms. Other times she’s using colloquial elements, which can be fun. That’s where we usually can bring in contractions and more American English to translate. That can be enjoyable. AL: It took you around ten years of working on and off on the translation of ‘A’ishah’s poems, Emanations of Grace. Does translating her poetry take more time that translating ‘A’ishah’s prose? TEH: When I was working on Aisha’s poems, I had to edit them first, because they were still in manuscript. After I translate a poem, I don’t really want to publish it for two years. I want to be able to come back and work it over and think it through. So right up until the time of publishing, as it went to the press, I was still tinkering with translations. The prose is more straightforward. It doesn’t mean that there weren’t issues there that I didn’t have to go through and work over. That’s usually less of a problem. AL: Beyond specialists, who do you imagine as the audience for this book? 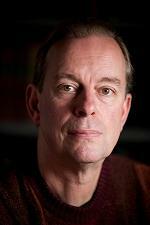 TEH: I would hope that those interested in feminist literature would read it. We’ve got a number of people who’ve been interested in women in Islam, and ‘A’ishah’s work is an amazing resource for looking at a woman scholar, and issues regarding women and religion, certainly in classical Islam, but I would also say Islam and religion in general. The Principles of Sufism is important for two additional reasons. One, here we have a woman writer, so you can at least get some idea of what she believed, and what her background and sources were. 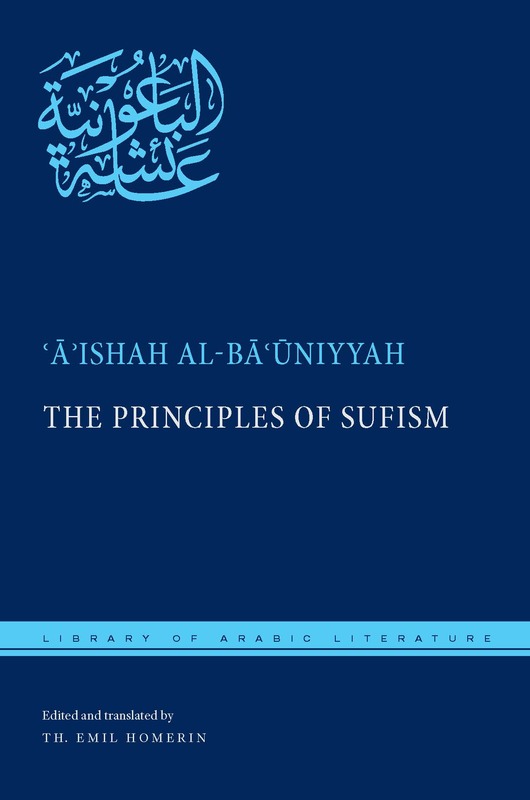 Secondly, in terms of Islamic mysticism in general, Principles of Sufism is a valuable book for showing us what sources and resources were available. What part of the tradition is she tapping into? Because she quotes her sources, we know that she’s reading the classics of Islamic mysticism, like the epistle by al-Qushayri and reading contemporary poets, or poets who were nearly contemporary with her, and quoting them. So you can see what she’s reading. And I think that’s important for seeing, at least in her case, how that tradition is manifesting and developing itself in Cairo and Syria in a very important time in Islamic history. Also—she’s interacting with men. We don’t see any sign of anyone being upset about this in the circles in which she operated in Cairo and Damascus. TEH: In terms of history, you have an educated woman, and here’s what she studied, and here’s who she interacted with. Also—she’s interacting with men. We don’t see any sign of anyone being upset about this in the circles in which she operated in Cairo and Damascus. This is telling you something about social relations. She is a singular source, for if you want to understand an educated woman, who are you going to read? You can read men talking about women, and historians have used these. But here you have a woman talking about herself. AL: Are there other audiences who would be interested? TEH: I would think, too, that you do have a lot of men and women who are looking to their own self-help or spiritual development. And if they’re concerned with Islam, this is an invaluable resource. AL: Or even for those who aren’t specifically interested in spiritual guidance, it is certainly uplifting. TEH: What I like about the Library of Arabic Literature is that we’re editing and translating the text and it’s in its complete form. We’re not dumbing it down, we’re not editing it out, we’re not eliding certain elements a general readership wouldn’t like or appreciate. And I think that’s very important. Because ‘A’ishah was a scholar, she is writing for other scholars, but she’s also writing for the spiritual novice who wants to understand what to do in order to let go of selfishness and find grace. What a great contribution! I was so happy to read ‘Emanations’. Looking forward to this now. Gender in spirituality is ultimately a chimera, but we have to walk through that veil to get beyond that necessary duality.